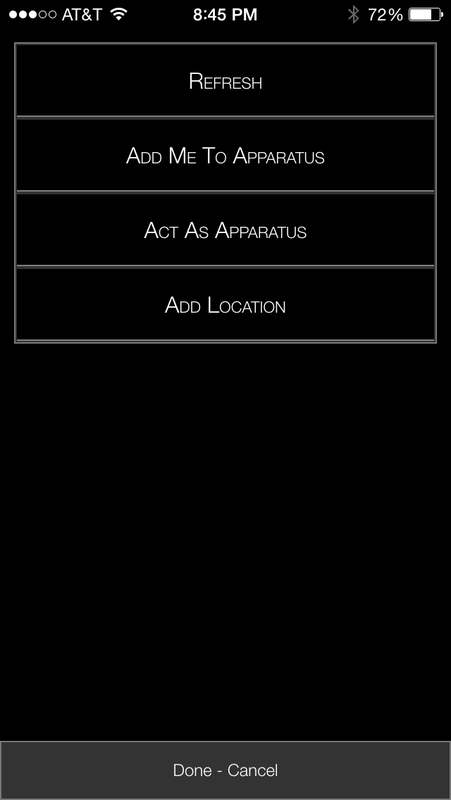 There are three ways to work with apparatus on a call using iSpyMobile. As a responder, adding yourself to an apparatus. As an officer in an apparatus with a dedicated iSpyMobile device, adding multiple people to an apparatus. As an officer in an apparatus without a dedicated iSpyMobile device, using your device as an apparatus for a specific call. Option 1: As a responder adding yourself to an apparatus. To add yourself, enter the calls detail screen for an open call, click on the Actions menu item, then click Add Me To Apparatus and select the appropriate unit. Option 2: As an officer in an apparatus. To add personnel to your apparatus, enter the calls detail screen for an open call, click on the Actions menu item, then click Add Personnel To Apparatus and select your personnel. The personnel list will sort shift personnel to the top, followed by personnel associated with that call (users who have responded), and then the rest of your active non-utility personnel. Option 3: As an officer acting as an apparatus. To use your own device as an apparatus for a specific call and add personnel to that unit, enter the calls detail screen for an open call, click on the Actions menu item, then click Act As Apparatus. Select the appropriate unit and begin using your device as an apparatus, including responding as the apparatus and adding personnel to the apparatus. 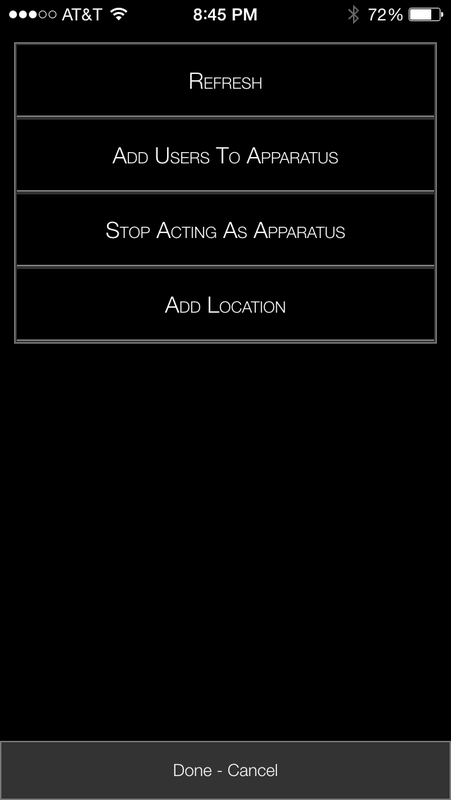 Once the call closes or you select the Stop Acting As Apparatus menu item in the Actions menu, your device will resume normal personal use. While acting as an apparatus the unit number will display under your identifier on the home screen. Identifiers are set in the iSpyFire web application under people. The Mobile_ActAsApparatus ACL is required for this action.